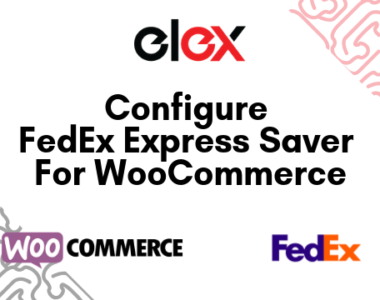 As you already know ELEXtensions offers a range of free and premium extensions for WooCommerce on our online store. We constantly strive to provide the best customer experience to all those who purchase our products. We need to constantly engage customers on our site to ensure that any issue they may face is resolved promptly. A good help desk system is, therefore, a basic necessity for a business like ours. In this article, we will discuss our experience with Zendesk, one of the popular SaaS-based customer support system. 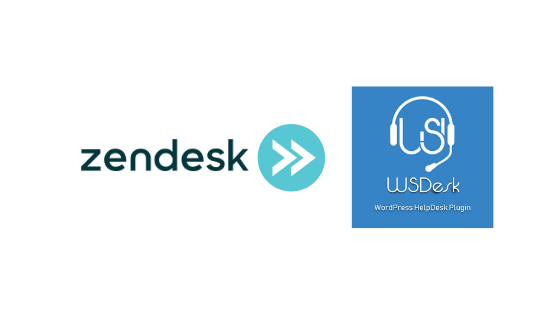 We will elaborate on how certain limitations of Zendesk motivated us to switch to our own WSDesk WordPress helpdesk plugin. How does our customer support system work? 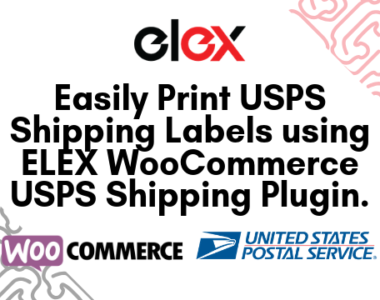 ELEX sells licenses for a range of WooCommerce extensions of varied functionalities such as shipping, pricing, marketing, customer support, etc. A user becomes our customer when they purchase a product from us. Support is offered based on the license of each customer, which is associated with the email id of the customer. Since we are selling plugins that can be downloaded and installed, support queries start coming right after the purchase of a license. Queries can be varied from installation or configuration related queries, to specific functionalities related to customers’ site, or compatibility issues. The support team has to be always alert to resolve these queries, and hence we need a helpdesk solution that works smoothly with our products and web store. How we started out with Zendesk? When we did our initial research, Zendesk seemed like a great option to go for. It had all the bells and whistles required for a popular customer support system. And we had very specific expectations from one of the most popular customer support software preferred by many big names in the industry. However, soon we find several pain points, which led us to develop our own help desk software with seamless WordPress integration. Will elaborate more on this journey here. Since Zendesk is a SaaS-based solution, the control of customer data is always with them. There is always a possibility that each store owner won’t have complete authority of their customers’ data in a third party set up. Even the knowledge base and tickets were stored in Zendesk servers and that won’t be good when you think in terms of data control. Moreover, Zendesk had not deleted our customer’s data from their database, even after we deleted the account. They were also using our customers’ data for their analytics purposes, which was potentially a destructive element in our relationship with customers. This scenario was more of a concern at a time when GDPR was still not enforced. You can read more about Zendesk’s GDPR compliance efforts post GDPR here. Zendesk also posed several challenges that prevented us from smoothly managing data exports. There was no easy way to export data from Zendesk. We always had to take a developer’s help to export data as there are no options to directly export data into a JSON or CSV file. This is because the export API of Zendesk requires you to write a code to fetch data from them. Zendesk, being a SaaS solution, needs you to opt for a subscription package. The cost for the one that we were using (with some advanced features like triggers and automation, canned responses), etc., was found to be too steep in our evaluation. This is more relevant when you consider that the package charges are determined per agent. So, if you add an additional agent on your store, the costs will become extremely high. Features like auto assigning of a ticket to a specific agent based on product, automatic notification to an agent, satisfaction survey when a ticket is closed, etc., were important for our support team. Our site is built on the WordPress WooCommerce platform. So if we were going to implement some of the automation features, there had to be seamless integration with WordPress. Sadly, with Zendesk, the WordPress integration really didn’t work smoothly for us. The contact form widget offered very little customization options. So you have to really be satisfied with the standard fields and layout. Though there was another plugin in the WordPress repository that allowed a better integration, the configuration was quite complex, and not devoid of errors. Unfortunately, that plugin is not available on the WordPress repository, at the time we prepare this article. The rough edges in the WordPress integration was really a major challenge we faced during our Zendesk days and really propelled us to our search for a better solution. Now, because of all the above difficulties we have faced with a SaaS-based customer support system, we decided to switch to our in-house WordPress helpdesk plugin, WSDesk. Here are some of the important advantages we found useful with WSDesk. One of the major limitations of Zendesk was the limited control of customer data. On the other hand, WSDesk offers exceptional control over your customers’ data. Since it is essentially a plugin that you install to a WordPress site, there is no complexity when it comes to data control or privacy. All the information related to your customer will be stored on your own servers. The plugin developer, ELEXtensions does not collect any data from your store or customers in any manner. You can also read this article to understand how an on-premises solution like WSDesk is better than a SaaS-based customer support system. WSDesk offers great options for moving data. You can back up all your settings and tickets to an XML file. This will be really useful when you are migrating from one domain to another. You are paying a one-time charge when you are purchasing WSDesk. The most interesting factor is that there are no limitations on the number of tickets or number of agents you can create using WSDesk. Even the free version of the plugin is loaded with features, which can be really good for small websites. The premium version of the plugin is loaded with features and could be a good solution for even enterprise-level websites. You can purchase the single site subscription of the plugin for $89. When you purchase the plugin, you will get continuous updates and plugin support for one year. After that, for continued updates and support, you need to renew the license of the plugin. This way, we could overcome one of the discouraging limitations of Zendesk – high recurring costs. The premium version of the plugin offers advanced features like triggers and automation, canned responses, etc. You can easily automate a lot of everyday tasks that the support team finds important. For example, notifying a specific agent, when a ticket is raised, or assigning a ticket to a particular agent, when a ticket is associated to a product. WSDesk also offers a very simple implementation of the satisfaction survey as well. Triggers and automation help a lot in optimizing the workflow of the customer service department. Another welcome feature of WSDesk is the smooth integration with WordPress and WooCommerce. With WSDesk, we could retrieve the order and purchase details of each customer while handling their ticket. This has actually empowered our support team a lot in responding to customer’s queries in a more informed fashion. 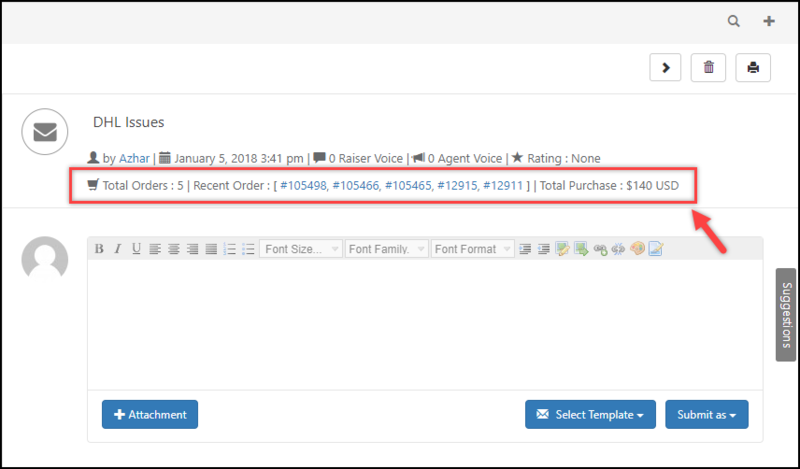 In addition to this, a separate tab is created for WooCommerce in the Reports dashboard, which shows tickets based on your products and its categories of the last seven days. 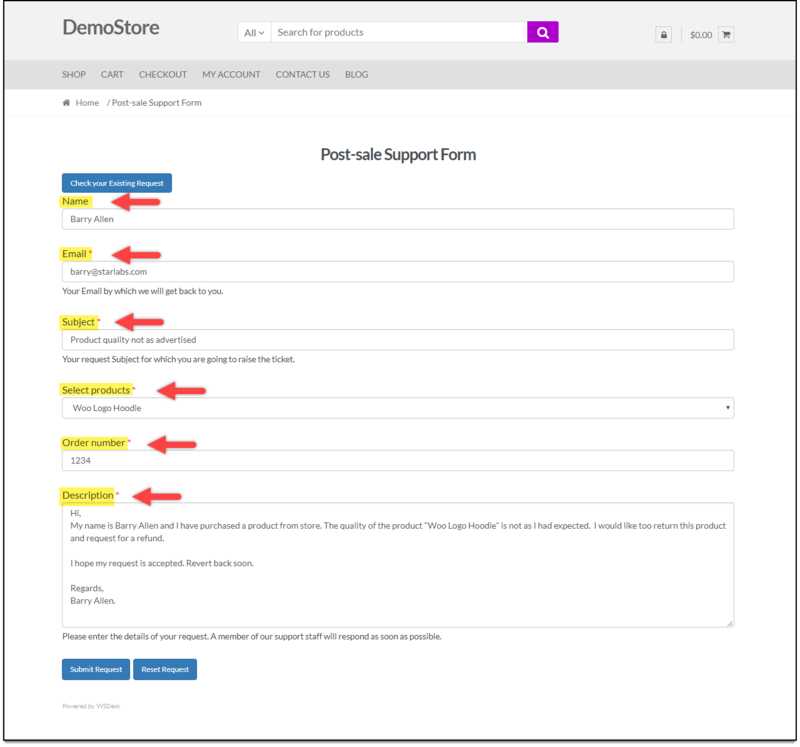 WSDesk offers great customization options for your support form. Since the creation of support forms is integrated, you can easily add fields to the support form. 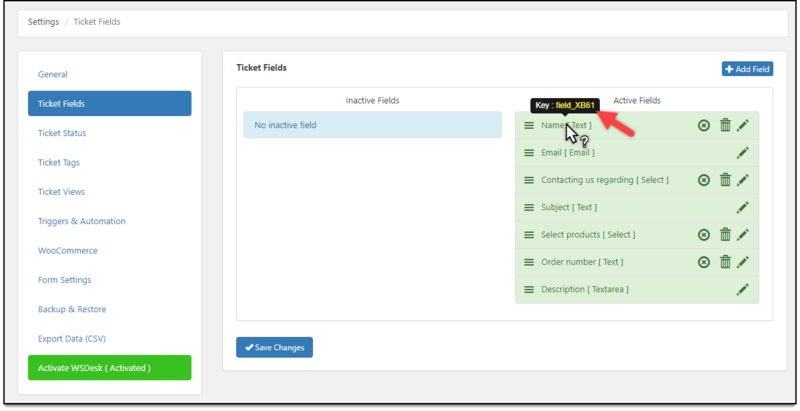 Moreover, the products from our WooCommerce store are automatically populated for creating ticket fields and for creating triggers. This would mean that we could ask our customers to choose a product, or their order ID while raising a support request, and it has helped us to organize our support team better. As discussed above, one of the limitations of Zendesk was the complexity to achieve this. 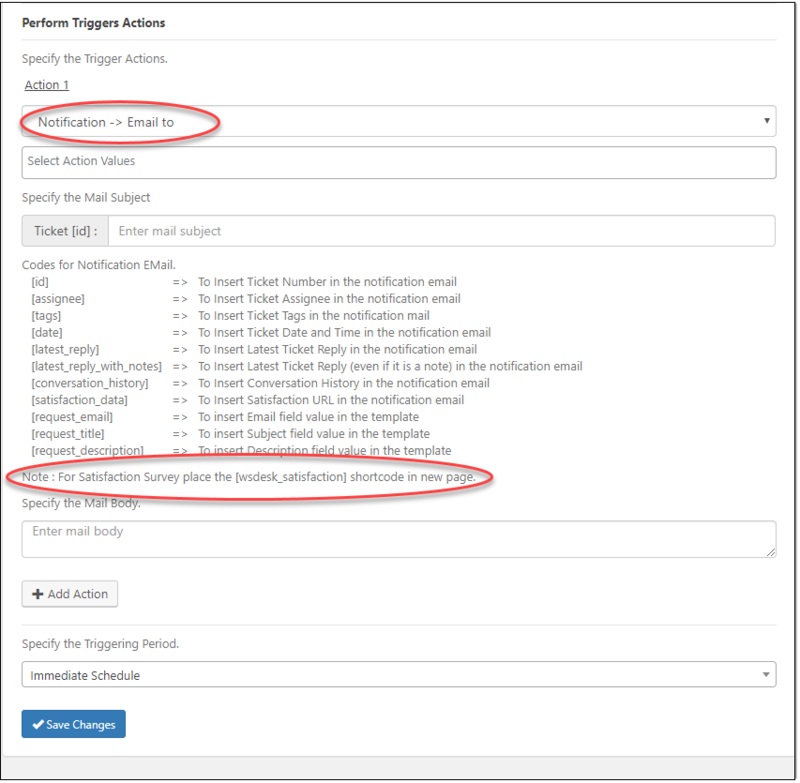 Here is an article that will help you understand how to create multiple support forms using WSDesk. WSDesk can be used in two different ways. One, you install it on your existing WooCommerce store or WordPress site. 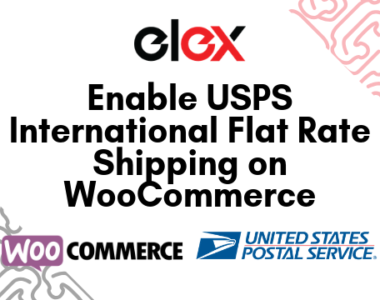 This would ensure easy integration with your WooCommerce products, customers and orders. You can even integrate it into your knowledge base, to serve as an option for self-support. Overall, with advanced features, this could mean your customer support system will be more efficient. The second way is that you can install it on a subdomain, so that you will be able to keep support and sales on separate domains. For example, you can create a sub-domain ‘support.yourdomain.com’ and install WSDesk on it. This would help you keep your eCommerce store separate from your support domain. For large sites, ticket data and knowledge base could be really in huge volumes, and it could potentially hamper the performance of the site. In such scenarios, keeping customer support separate would be more helpful. However, the downside of this is that there won’t be real-time syncing of order data, purchase history, etc. You may have to find another solution to integrate both sites. How we switched to WSDesk? WSDesk provides a great option to import existing tickets from Zendesk. We made use of this feature while importing tickets from Zendesk. In a matter of minutes, you can have all your Zendesk tickets on WSDesk using this option. To know more, read our article that gives step-by-step instructions on how to import tickets from Zendesk to WSDesk. Hope you got an overview on the limitations of Zendesk that propelled us to create our own WordPress helpdesk plugin, WSDesk and switch over. Contact our support team for more information on the features of WSDesk.